Bruins fans can breath a sigh of relief as the B’s were able to finally grab their first win of the season last night against the Avalanche in Colorado by a score of 6-2. It’s safe to say that no one saw this one coming. The Avalanche have one of the most explosive offenses in the NHL and the Bruins’ struggles on defense through their first three games were astronomical. The one positive from the B’s 0-3 start to the season was their play in the first period of all three of those games. The difference last night was that they kept that energy level up throughout the entire contest. They sprinted out to a 5-0 lead in the second period and didn’t look back. 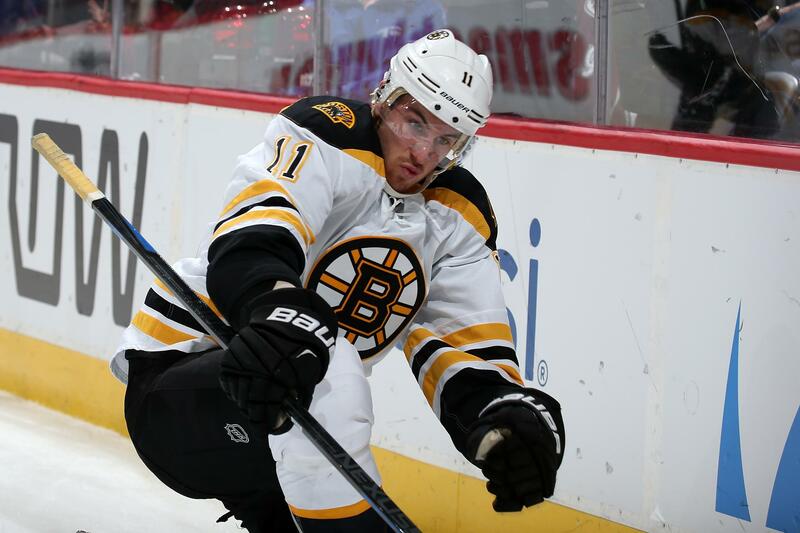 The star of the game was Jimmy Hayes who scored his first goal as a Bruin and assisted on three more on his way to a career-best four-point night. Ty Randell gave us hope for the future as he scored a goal in his first NHL game as did Tommy Cross, who played solid defense in his debut. Jonas Gustavsson was solid in net in his first game as a Bruin. Other goal scorers for the B’s were Kevan Miller, Ryan Spooner, David Krejci, and Chris Kelly. Boston takes on the Coyotes in Phoenix this Saturday at 10 pm.